They only care about their sales and when I have problem with my car. They never take it serious and leave me behind. They dont call you back. "Horrible service and incompetent Service&Parts employees"
Courtesy shuttle arrived 50 minutes later then scheduled. The supervisor told me there was only 1 driver who was picking up a person at Bridgeport station. The driver arrived alone. The supervisor called the driver. The driver put him on speakerphone. The supervisor told the driver about the second driver that went to pick up some other customers. So there were 2 drivers to begin with. It took me 1 hour 45 minutes to get to Cowell VW. We purchased a new Atlas from Nick in February 2018 and have had nothing but great experiences with the dealership, both sales and service. Thanks everyone! As a follow up to this sales review, I wanted to note that our experiences with Service department to be less than satisfactory. My main issues have been around trying to reach them! I am on hold for extraordinary lengths of time when I call. When I contact them via the online form, they respond via email, rather than phone as I request. Then, when they do phone, they don't call the phone number I specified - very exasperating! "Use extreme caution or stay clear "
Took advantage of elderly who doesn't fully understand what they're signing. They did not explain that the added insurance policies sold were optional. No one is willing to take ownership of what happened. Use extreme caution or stay away from Cowell altogether due to unethical practices and poor services. These people have no conscience. "Shady business, use EXTREME Caution"
These folks took full advantage of elderly people, charging them MSRP rates, $500 doc fees + $500 Prep fees, and selling them useless additional insurance policies. Buyer beware; very dishonest and untrustworthy. Have someone knowledgeable look over the final doc before signing. No one mentioned that the insurance ($3000) is an option and snugged it in there. When confronted, no one takes any responsibilities. General manager Phil A. and sales manager Mark alike, shady, unethical practices, and poor services. Sales manager Mark is unapologetic and on the defensive; has no idea about the products that they sell. They should be ashamed of themselves for taking advantage of the elderly who has little knowledge of what they're signing. USE EXTREME CAUTION!!!!!!!!!!!!!!!!!!!!!!!!!!! "Great Service from Jon Fishman"
I would like to install front view camera to my new car because when I bought it, it was very rush and the salesperson was no good, liar and pushy. Therefore, I passed by Richmond Cowell VW and would like to get a quote. Jon was the representative to help me, he is nice and absolutely great. I also asked him about dash cam information, he gave me good information where to look for. Second time, I could not open my trunk in the morning, I went there again. Maybe because of the weather was too cold, I parked outside, When I got there, he could open it right away. 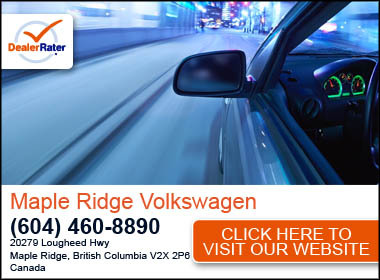 I think I am going to do my warranty there instead of Open Road Lougheed VW where I bought the car. "Guys, thank you so much for the fantastic service.!" I was schedule in to replace my window switch, right on time, as my warranty was going to expire in the next days. Thank you! "Excellent dealership. superb and honest sales team. " "Service a bit unnecessary and pricey"
"Best to keep an eye on your car while in for service"
Car for service, Saw employee, probably a lot guy, racing my car around the Richmond automall lot, Disappointed, rather good customer service, just uncultured employees (lot guys/car washers).